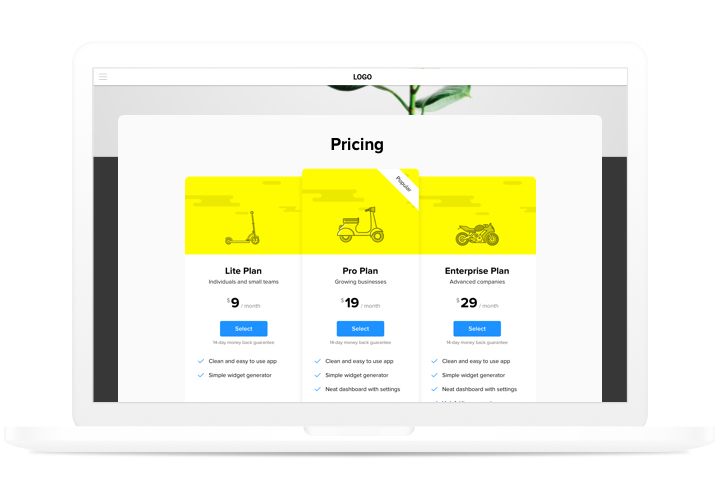 Pricing plays one of the most important roles in pushing visitors to make a purchase. Widget by Elfsight not only gives a chance to clients of the page to learn and compare several price tariffs in a flash. It also contributes to increasing conversion by means of using the latest techniques in design and configuration. Bring sales of your site to a higher level, using an advanced pricing. Get the best of the new tendencies of the composing, to eliminate any clients suspicions while they are taking steps to buy from your site, and achieve the best conversion. Having an extensive variety of parameters, which enable you to configure diverse types of pricings only in 2 steps, you will get the one that will be absolutely efficient for you. Tell all the details about your tariffs. 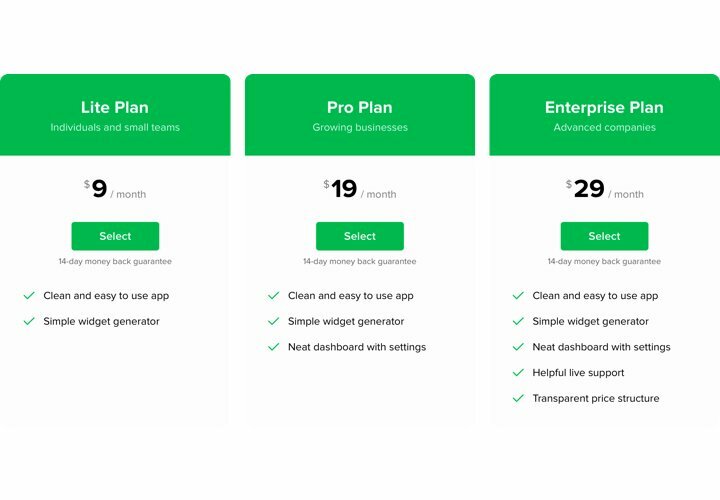 You can post complete info about each of your pricing plans and show them in your personal widget, so that readers could search for and analyze your tariffs. The most prominent features that transform our widget into the best Pricing Table for Adobe muse websites. A guide on integration of our widget. To perform it, you don’t need skills in programming or a lot of time. Just 3 quick actions and 3 minutes. 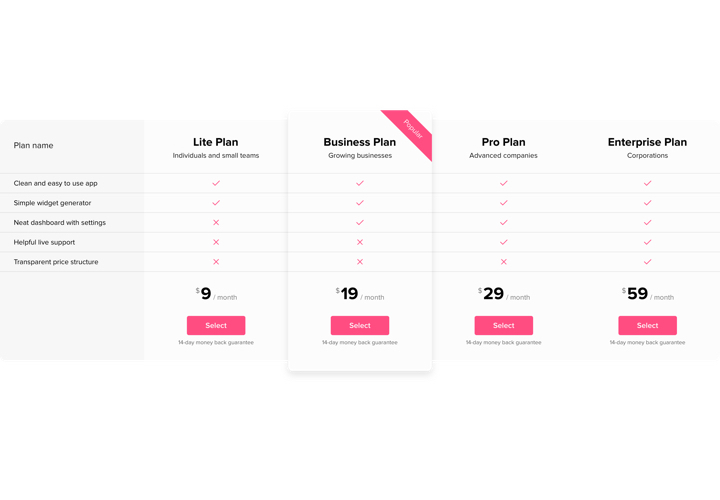 Create your personalized Pricing Table. With the help of our free configurator, shape a plugin with needed look and options. Acquire the code for embedding the plugin. 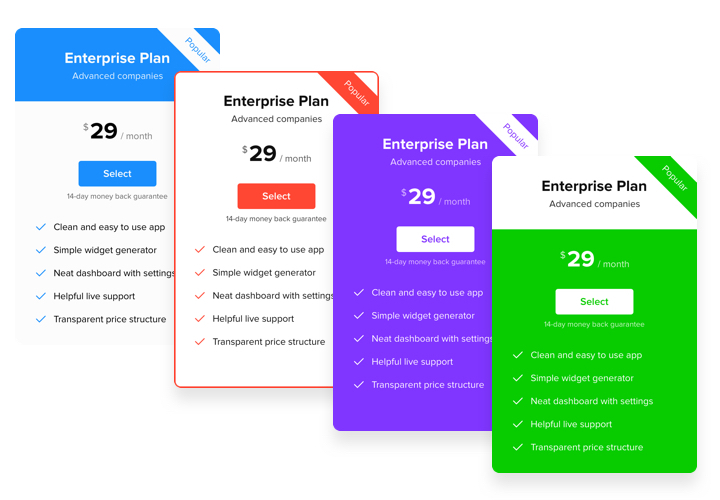 After widget customization, acquire the code for Pricing plugin from the appearing notification on Elfsight Apps. Place the plugin on Adobe Muse site. Embed the plugin into the desired spot of the page and publish the edits. Enter your site, to check your pricing. Come across queries while adding the widget? 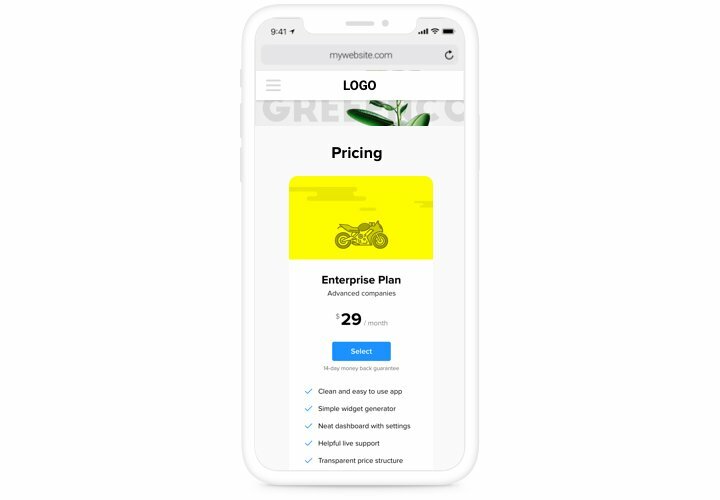 Read our full tutorial «How to install pricing table into a Adobe muse» or leave a message make a enquiry at our customer service, which will solve all kinds of your problems easily. 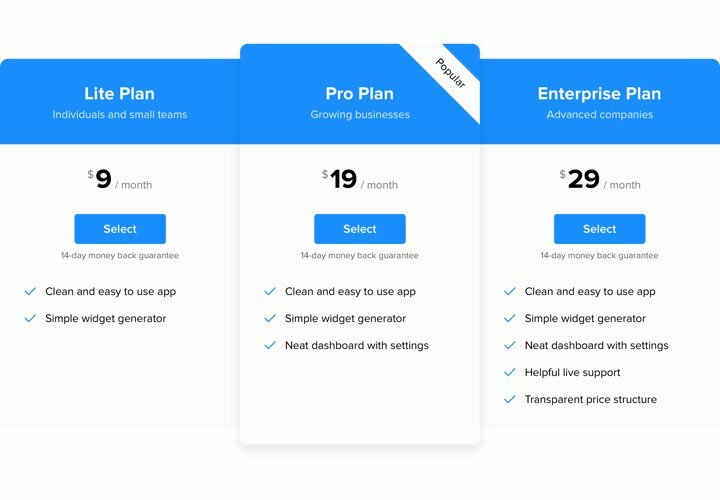 Generate the best Muse Pricing Table widget in only 1 minute!